some time ago I purchased a few products from Neal's Yard Remedies. This London based company makes very nice natural and organic cosmetics. The products are expensive but I got mine cosmetics during major sale:). 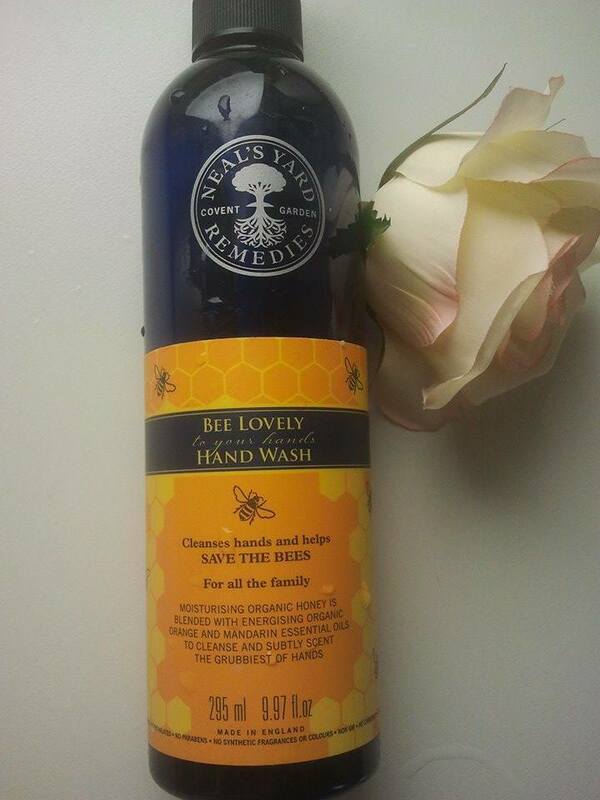 "Gently cleanses hands and helps save the bees. We are donating 10,000 a year to bee lovely projects to Help Save the Bees. 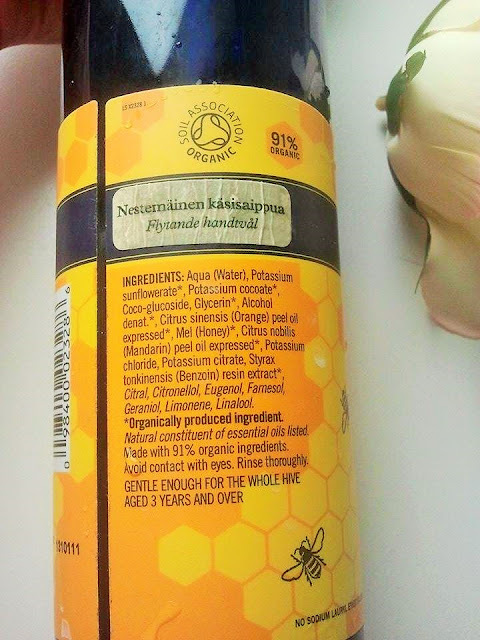 Our natural Bee Lovely Hand Wash is infused with moisturising organic honey and fragrant, uplifting organic orange and mandarin essential oils, to gently cleanse and subtly scent the grubbiest of hands. Gentle enough for the whole hive, including children aged 3 years and over." Sounds great but I couldn't really find any reviews from the internet about this product. However I decided to give it a go because saving the bees is a great idea and I wanted to support it. Another thing is that so far everything what I have tried from Neal's Yard Remedies has been great. Unfortunately Bee Lovely Hand Wash is not good at all, in fact it is rather a bad product. Why? Because it will dry your skin. 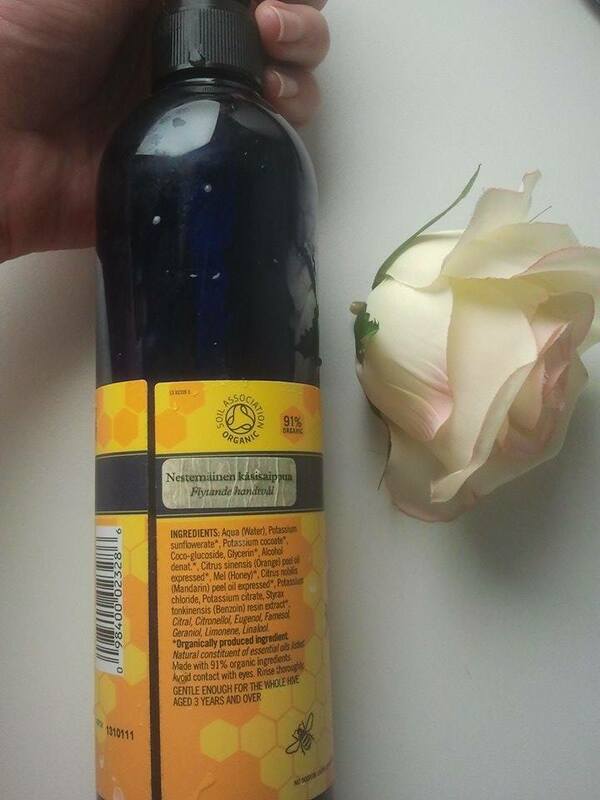 According to the manufacturer Bee Lovely Hand Wash will gently clean the hands and is suitable even for small children. Hmmm...I have to disagree. In my opinion this hand wash cleanses the hands in rather aggressive way. 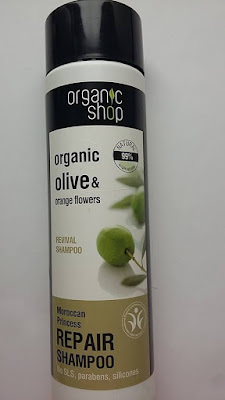 I think if you would use it only a couple of times a day then probably it shouldn't be such a big problem but repeated use of this hand wash will have a drying effect. I suspect that this is because of the denatured alcohol. If you have a look at the ingredients list you will see that alcohol denat. is in the 6th place (rather high). Ingredients: Aqua (Water), Potassium sunflowerate*, Potassium cocoate*,Coco-glucoside, Glycerin*, Alcohol denat. *, Citrus sinensis (Orange) peel oilexpressed*, Mel (Honey)*, Citrus nobilis (Mandarin) peel oil expressed*, Potassium chloride, Potassium citrate, Styrax tonkinensis (Benzoin) resin extract* Citral, Citronellol, Eugenol, Farnesol, Geraniol, Limonene, Linalool. *Organically produced ingredient.Natural constituent of essential oils listed. Made with 91% organic ingredients. Of course I was aware that the denatured alcohol is drying on the skin but at the same time I was hoping that honey known for its moisturizing properties will balance the drying action. Sadly this wasn't the case. Because I didn't want to throw away the whole bottle I mixed the product with a bit of olive oil and that helped but still I wasn't able to use it on a regular basis. I honestly cannot recommend Neal's Yard Remedies Bee Lovely Hand Wash to anyone. Especially small children and people with sensitive skin should stay away from this product. Its formula definitely needs some improvements. Greetings and thank you for reading.